Capacity 9 - 12 oz. 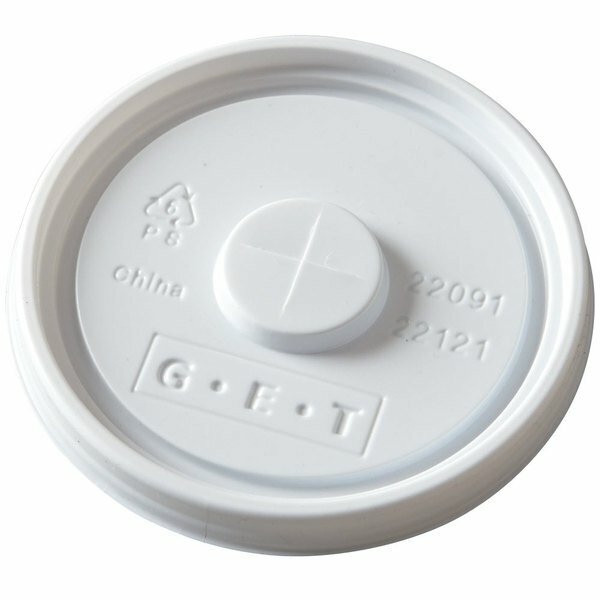 Ideal for retirement communities, health care facilities and meal delivery services, this GET LID-22091-W disposable white plastic lid fits the 2209-1 9 oz., 2211-1 12 oz., and 2212-1 12 oz. Tahiti tumblers as well as the 6616-1 16 oz. textured pebble tumbler or other tumblers with a 3 1/4" top diameter to prevent drips and spills. Comes with a center straw slot.